configured under Controls should not be affected. * 1-Button Magic Carpet start up. from your Bank, Inventory or from within your Home (within a configurable range from you). removal of any items that were placed into the home as part of the Assembly process. range from you in the Home. * A "Quick Access" button that will appear whenever you are in a House that you can fly in. Look for the ethereal Yin and Yang symbol. It wants you to click it. and Lower (Down) arrows that will appear whenever your Magic Carpet is in-flight. all manner of new vehicles and bizarre contraptions. like Magica-Technico suits and Fire- and Earth-Bending Abilities. Now you can fly in player houses - really. ** Must have Decorator (edit) permissions. Type /mag in the Chat window. Walk or run around; the Magic Carpet will follow underneath your feet. - "Ascend" to gradually ascend while moving. - "Descend" to gradually descend. - "Suspend" to pause the magic carpet in place. Please let me know if you have any questions, suggestions or comments -- and I hope you enjoy the add-on! Alinor's preeminent designer won't let anyone forget that. Own it... Work it... Live it." "It's not your fault for being such an attractive person - you were just drawn this way." "Guaranteed to make you grin a most maniacal grin. **Cheese not included"
"The sum of this mini-jet is greater than its statuette parts." - Updated for the upcoming Wrathstone DLC. "Assemble from House Items" setting was set to OFF. "You've got people to see and places to be..."
the cursor is placed over the "MC" button. - Fixed an issue that caused the "MC" button to hide when entering Housing Editor mode. * The "MC" button *will* continue to hide when pulling up the Housing Editor Browse window. - Changed the "Vvardenfloaten" mode to allow you to descend more gracefully. - The "MC" button will auto-hide while any menu windows are open. in a given login session. * This notification can be disabled via Magic Carpet's Settings panel. - Added a 2 minute maximum duration to Idle Animations. - Relabeled the in-flight up/down adjustment arrows to "Raise Height" and "Lower Height"
"The fusion of Orcish design with mobile productivity. Suspend whenever you feel the urge to take a craft." ""Phish is life." - Agrivar the Wise"
"Sponsored by the fabulous ESO Housing Magazine YouTube channel "Juni Sulli"." "Practice your Warrior Pose in the sky while atop Maya's stellar disc of flight." "Technically it's 9 divine signs. But who's counting?" - Reduced the sensitivity of the Featherfall(tm) feature so that it is less prohibitive for certain clothing optional diving parties. "These designer shoes are the very sole of Murkmire." - Adjusted the minimum performance requirements for the PanoramaView(tm) feature. - Fixed an issue that could prevent you from starting the Magic Carpet if you exceeded an Item Limit that was not relevant to the current Mode. * For example, if you did not renew an ESO+ membership, leaving you with excess Collectible Items, but the Mode only required the use of Traditional Items. - Added a new "call out" notification that is displayed whenever you earn a new Trophy. - Added visual enhancements to the Trophies displayed in the Carpet Selection window. - Added a new Trophy system! Yay, achievements! * You will now earn a glowing Trophy for each Mode after successfully assembling it for the first time. * A new Trophy Carousel is in the works that will allow you to review your earned Trophies, along with ways to share your achievements with your friends and guilds. * Additional Trophies, earned through various feats, such as successful duels while using Combat Enhanced modes and pulling off special trick moves in mid-air, will be added in future updates. - Added our first Player Submitted Mode, submitted by @Callaleo, PC NA! "A truly scrumptious ride with a Sotha Sil of Approval(tm)." - Reduced the number of "Glass Crystals, Bed" items required for the "Walking on Broken Glass" mode from 4 to 3. - Sorted the non-classic Modes alphabetically, from A to Z. - Slightly adjusted the Carpet Selection UI to make room for the upcoming Magic Carpet Achievement system. - Fixed an error that could occur when loading the add-on for the first time. "Annie Lennox would approve. Or at least, I'd like to think so." - Added automatic adjustment of the PanoramaView(tm) feature. on your Magic Carpet's stability. - Revised the Carpet Mode Selection user interface to more clearly identify the necessary Quantity and the Availability of each required item. - Relabeled the Carpet Mode tag "Cosmetic" to "Cosmetic / Non-Flying" to more clearly convey the non-flying nature of cosmetic modes. - Fixed an issue that prevented the "MC" button from enabling (or disabling) when a house's owner granted (or revoked) Decorator permission. * You should no longer need to /reloadui to get the Magic Carpet to work after being granted Decorator permission. "Similar to a traditional palanquin but with a Murkmire twist." - Fixed an issue that could have caused the Brass Billiard Ball(s) to fail to work properly. "A speedy bed plus a movie reference that will likely be lost on many." "Well really just one, though it's easily big enough to reenact Raiders of the Lost Ark." "A sporty, 2-door version of the Daedric Cruiser." "Designed for modern Xivkyn on the go, this cruiser is ideal for the active lifestyle of today's busiest Taskmasters." - Added the current status to the "Please wait..." dialog to indicate the progress of pending Mode Start / Stop operations. "Put your fishing prowess on display with a flying boat that can *also* float." - The new "Sorcerer's Aura" Mode is the first of many upcoming "Cosmetic" Modes. * These modes add special effects to your character. * A new "Cosmetic" tag has been added to identify this type of Mode. * A new "Flight" tag has been added to identify the traditional flying Modes. * Descent via the keybind or via dodgeroll will now actively descend to a small degree to aid in faster descents. * Slightly revised the Interrupt/Bash animation. * Improved the reliability of Blocking while bar swapping. - The new "Aegis" Mode series included in this release is the first line of many upcoming "Combat Enhanced" Modes. * These Modes provide additional "moves" that activate from, and serve to extend, your existing combat actions. - Blocking provides additional front-facing shielding. - Interrupting/Bashing can be used to provide brief shielding and may even push attackers back. - Sprinting engages "Ascend" mode for as long as you sprint. - Roll Dodging temporarily engages "Descend" mode and provides additional rear-facing shielding during the roll. - Sneaking/Cloaking (all morphs) will lower the shield out of sight as to maintain your stealth. - Added a new Quality indicator for each Mode. * The Quality of a Mode roughly corresponds to the cost or complexity of the components required for the assembly. * Modes that support PanoramaView(tm). * Modes that are Combat Enhanced. - Added a "Featherfall Sensitivity" setting to allow for higher or lower freefalling meters/sec thresholds. - Changed the "MC" button to dim, instead of hide, when you are in a house that you do not have Decorator permission in. - Pressing the "Toggle Magic Carpet On/Off" keybind when the engine cannot start (for any reason) will show the Carpet Selection window to allow you to choose a different mode or see how many items you may be missing for the current mode. * This is in addition to the error message and reason being displayed in the Chat window. - The "Missing X items." Mode message will now appear in red. - Fixed an issue that could cause disassembled components to remain linked to the parent item. - Fixed an error that would occur when an active Magic Carpet auto-deactivated during a jump to a different zone. - Performed additional pre-Murkmire maintenance. - Fixed an issue that hindered the stability of Sheo's Cheese Grater. It should grate greater now. * Modes that support PanoramaView(tm) will automatically retract the vehicle while you are idle, providing a borderless view of the world that is ideal for screenshots and video recording. * This feature is enabled by default but may be disabled via the Settings panel. - Your Magic Carpet will now automatically deactivate and restore the item(s) used to their original place in the home (or back to your inventory) whenever you begin to jump to another zone. * Note that Magic Carpet cannot auto-deactivate if you leave the house via the front entrance. Please continue to use the MC button and/or Toggle On/Off key bind to deactivate your carpet first. - Fixed the Toggle Magic Carpet On/Off keybind: Pressing it will now skip the Magic Carpet Mode Selection window and instead attempt to resume the most recently used Mode. - The "OFF" button will now briefly display the vertical offset (in centimeters) any time the Raise or Lower buttons are clicked. - Added a new animation and sound effect to the Raise and Lower buttons that serve as visual and auditory confirmations of the offset adjustment. - Changed the continuous use of the Raise and Lower buttons to have a more prominent visual effect. - Rebadged the Magic Carpet quick access button with the "MC" initials. - Adjusted the stabilization algorithm for all Modes. * Addressed additional scenarios that can cause an erroneous Hand of Geezus(tm) warning message when: teleporting to a different house, jumping via doors or portals or jumping to the "safe location" within a house. * Adjusted velocity prediction to improve stability in higher latency scenarios. *** More adjustments may be necessary: your feedback is incredibly valuable and appreciated! * Fixed an issue where The Hand of Geezus(tm) would not return from whence it came if the Magic Carpet was enabled or resumed from "suspend" mode during free fall. * Fixed an issue where The Hand of Geezus(tm) would warn you of a missing [Rough Planks, Wide] (or tell you that you're welcome for not actually catching you) when zoning between houses. 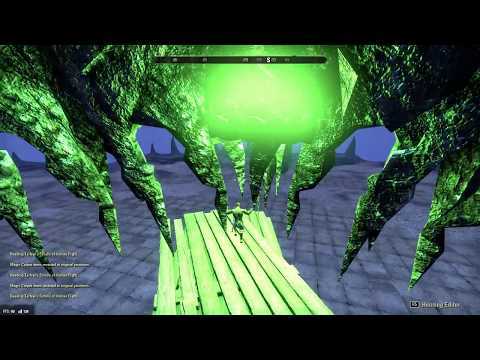 * Fixed an issue where The Hand of Geezus(tm) would not catch you during a free fall if the Rough Planks, Wide available were bought from the Crown Store. * Further calibrated the carpet animation logic to provide a more smooth experience and even fewer accidental drops, dips or descents. * Finished separating the Carpet Item definitions into different files for those who customize this add-on -- if that's you, check out the CustomCarpetItems.lua file. * Added new Idle animations to simulate the effect of air (or water?) currents on your Magic Carpet. These animations can be enabled or disabled via the Settings. * Adjusted how the Magic Carpet adapts to quick rotation to further minimize unwanted descending. * Revised the signature The Hand of Geezus(tm) landing emote to something more devout. * Reset the add-on's settings for all users to remove any potentially corrupt setting values. Sorry for the inconvenience. * Streamlined queuing of The Hand of Geezus(tm) events. * Added a signature The Hand of Geezus(tm) landing emote. * Added The Hand of Geezus(tm) -- an optional feature that will deliver you safely from an accidental free fall (whenever the Magic Carpet itself is turned off). Requires one Decorator permission or [Rough Planks, Wide] to be in the house. * Added support for "Clockwork Vent, Octagonal Fan". * Added a configurable Setting to make the Ascend and Descend keys function as either Toggles, or as they do today, as keys you must Hold Down. * Changed the Deactivation logic to restore items to their original positions more slowly to avoid potential de-sync issues. * Wired Settings > Update Speed option to the underlying dynamic ascension, horizontal and free-fall calculations. * Settings > Update Speed now dynamically increases ascension, horizontal and free-fall predictive coefficients to help compensate (within reason) to moderate latency conditions. * Added support for several new "carpet" item types, including actual carpets (Altmer). - Gradual ascending can be performed through the new "Ascend" controls key bind. - Gradual descending can be performed through the new "Descend" controls key bind. - Ascension can still be performed through jumping. - Removed prior CTRL/ALT/SHIFT/COMMAND controls. - Carpet updates are triggered by player movement relative to the current carpet position in lieu of the prior edge-to-edge placement strategy. - Ascension, movement parallel to the ground and free-falling are now all variable calculations and can respond dynamically to changing latency conditions. Oh, I see now! I didn't know there was a menu and apparently many other options for vehicles. The "On Top of the World" vehicle uses the celestiodrome. Thank you! Hmm.. question, does it still do that if you click the "MC" button to open the Magic Carpet window and then scroll to the carpet that you want and click "Start"? Magic Carpet remembers the last used mode and tries to activate it by default if you just press the keybind to start the carpet. Last edited by Cardinal05 : 04/07/19 at 05:48 PM. Last edited by Jhenox : 04/07/19 at 09:56 AM. 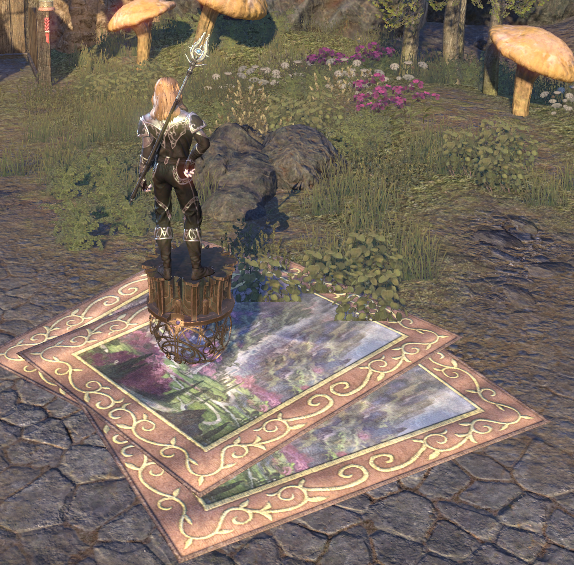 This works great but I encountered a strange thing; instead of using the 3 x High Elf Carpet, Water-Themed that I had laid out; it keeps grabbing my Revolving Celestiodrome from inside my house. It still works perfectly and I only need one item this way but I'm not sure why this is. I even set to use bank items only and lowered distance to minimum but it *really* loves that celestiodrome. Re: CardiMAN! I am BAACK! Jimijammz! I thought you were gone, off to that other game! I'm so happy to see you making a return visit to ESO world. It's funny you mention that because I was just thinking the other day that I should take a day off and create a short video that could highlight all of the things that you can do with Magic Carpet, Essential Housing Tools, etc. But since you also bring it up now, I take that as a sign that I definitely should do so! just updated Magic Carpet and gave it a whirl, but I am still seeing the same issue. picked up the carpet, which went into my inventory, and now it is recognizing it. I haven't had a chance to systematically go through the variables, but if/when I do... I will let you know if I can find a pattern to this mystery. Last edited by Ekoe : 01/31/19 at 03:03 PM. had an issue where the rustic carpet was not recognized when in my inventory.. it seems to do fine IF the item is in the bank but when I stop Magic Carpet and it goes into my inventory it isn't recognizing the item when I try to start Magic Carpet again. I have to return the item to my bank before magic carpet with recognize it and start working. I thought it was resolved until I tried using it again tonight. Last edited by Ekoe : 01/29/19 at 10:37 PM. 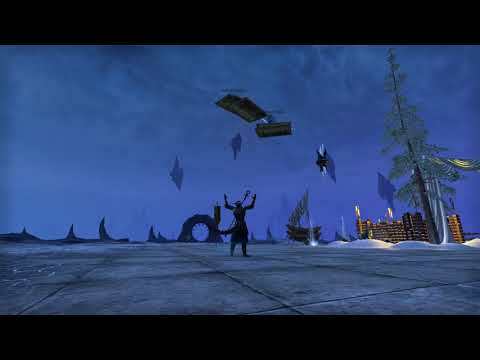 Re: Re: Alinor Bed Levitating disappears. Thanx for your prompt response. To start off. When I went to my house with an other character I found 2 of my beds flying in the air about 30 feet above the floor from where I thought i had tried to step on. The thing is. I had deactivated the option to use them from my bank or my house. So I could only use them from my inventory. Once I had placed one in the bank the bed worked fine. The only thing that would make it perfect would be. Can you make it so that the /sleep command is turned 90 degrees? So I can sleep in the air. PS I so whished I had found this addon sooner. I have always looked for the highest places to build. If you ever play on the EU server please visit my Villa. I thought it was nice to fly with the bed but it has disappeared 3 times now. I made 2 extra and the second I want to use it its gone from my personal inventory. It is getting to expensive. (2) When you deactivate any Magic Carpet that was started with items from your Bank, the items are retrieved from the home into your inventory; however, the API does not allow me to transfer those items back to your bank without requiring you to stop at a bank/the banker (so Magic Carpet just picks the items up only). So, if you have lost any of your Bed items, they may be sitting in the inventory of the character that last used the Bed (or something similar). If you still experience an issue after checking these two possibilities (and have the latest version of Magic Carpet) though, please do let me know. Also, I have another Housing add-on, DecoTrack, that can track all of the furniture items that you have across every house, character, bank and house storage coffer/chest. It may help in tracking down items in cases like these. Re: Alinor Bed Levitating disappears. ps, it does work from the bank. Really loving this add on, but I have a weird problem. The High Elf Carpet Water theme is always slanted, never level. No problem with the planks. Let's see if trying to share the image works. Ah -- ok, so that slant there is to give you a 100% clear view in front of you of whatever you are working on in the house. It's a feature I call "PanoramaView(tm)" It only works for a few different modes, including the traditional Carpet modes as you mentioned. You can disable it if you would like via the Magic Carpet Settings panel from the system menu. Just toggle PanoramaView(tm) to OFF.